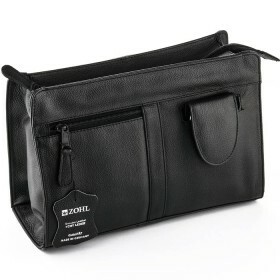 Magneto M23 is a high quality mens grooming set made in Germany for gents who like top quality gear when it comes to their appearance. 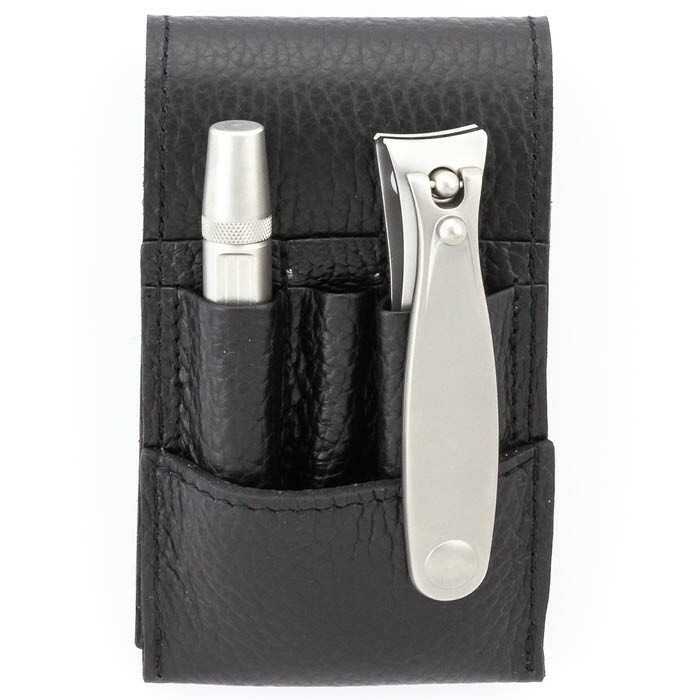 Handsomely presented in a luxury black leather case with a magnetic closure, it houses the best nail clipper ideal for fingernails and toenails, and the professional ear and nose hair trimmer. Both made of rust proof stainless steel, these tools are a must have for the man who likes to make smart investments into long lasting quality and performance. 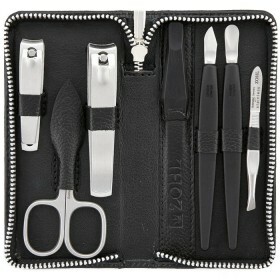 Luxury mens grooming goes hand in hand with the Magneto mens set with Sharptec tools. 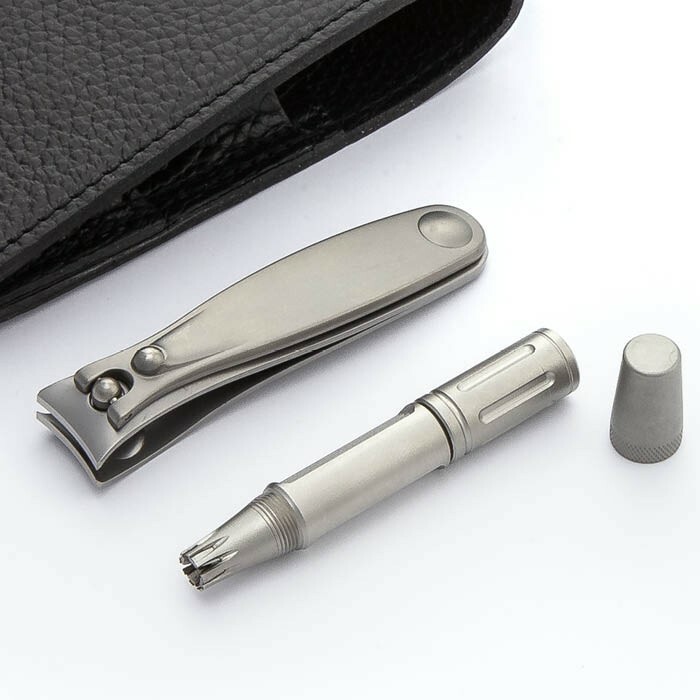 Solingen nail clipper and Klipser trimmer for gentle removal of ear and nose hair is what every man needs, whether for everyday use or for travels, to keep their nails and facial hair in tip top shape. 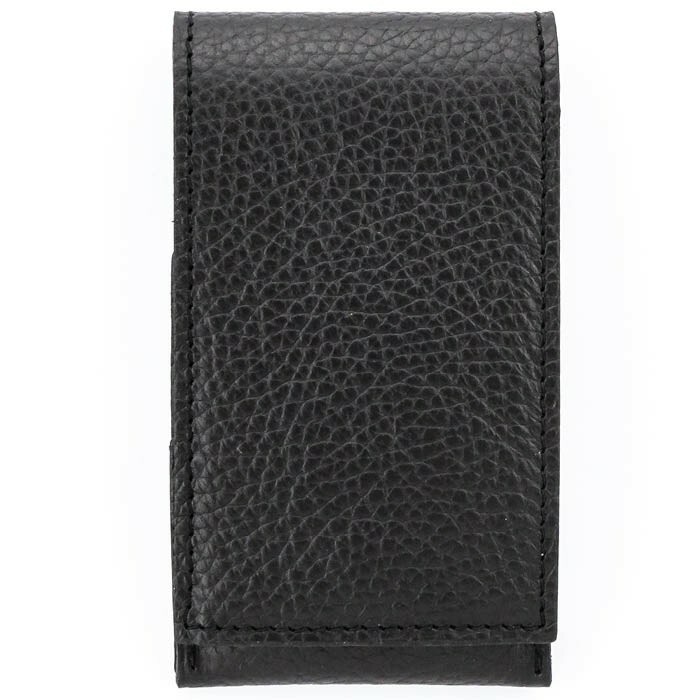 Both tools are skilfully made of stainless steel and nestle in individual pockets of the luxury leather case made of high quality pebble cowhide, lining the set inside and outside. 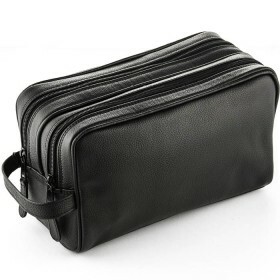 Magnetic closure firmly secures the contents and makes a perfect pocket kit for men to keep their grooming gear discretely. 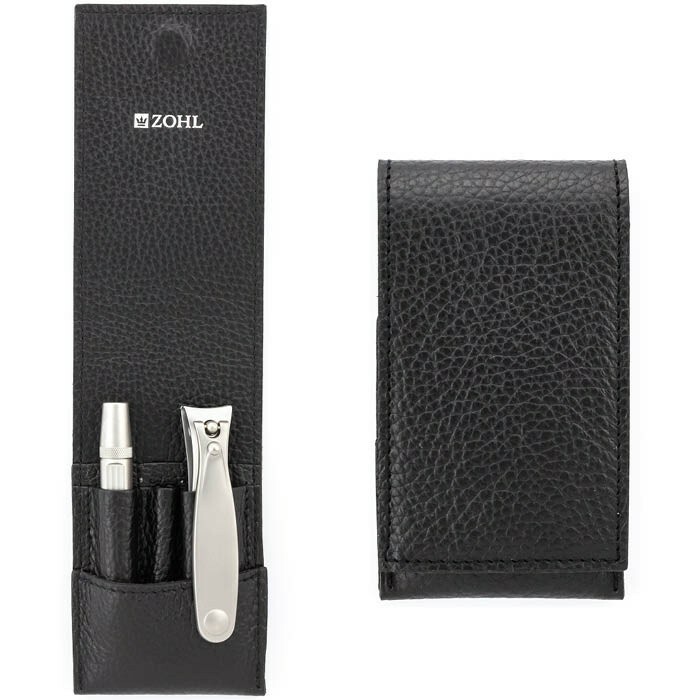 ZOHL Nail Clipper is made from super strong grade stainless steel which keeps the blades sharp for a very long time without any need of sharpening. 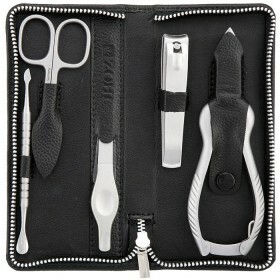 Wide mouth works brilliantly on mens fingernails and toenails, making it the best nail clipper a man can wish for. 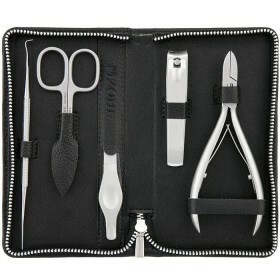 Enjoy smooth and precise nail trimming with perfectly sharpened blades, and you are guaranteed to never go back to inferior nail clippers that loose sharpness soon after purchase. Approx. opening 2mm. Length 8cm. 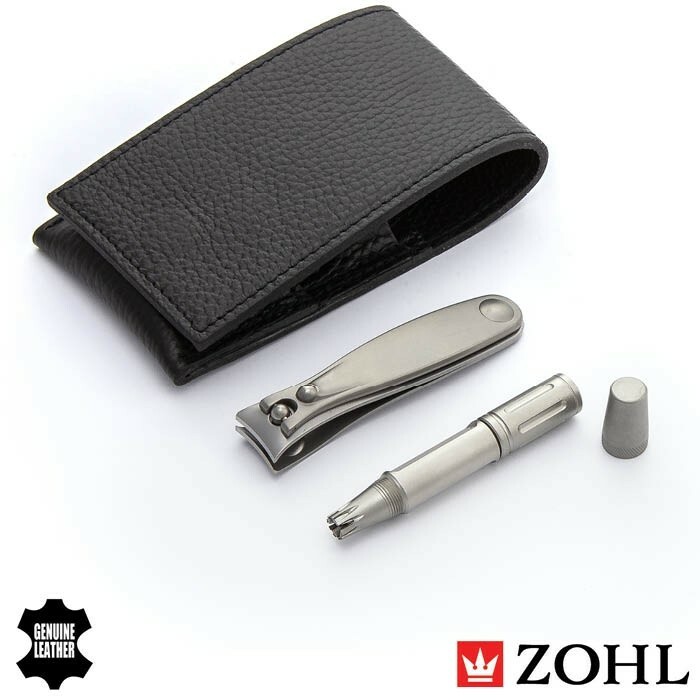 ZOHL Klipser is the innovative trimmer of ear and nose hair which enables very gentle removal of unwanted hair in sensitive areas of ear and nose. 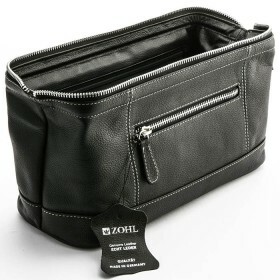 By simple rotation of the bottom cylinder, ZOHL Klipser allows a very close trim without the risk of cuts. It is built to give you long lasting service and is very easy to clean. Length 7cm. 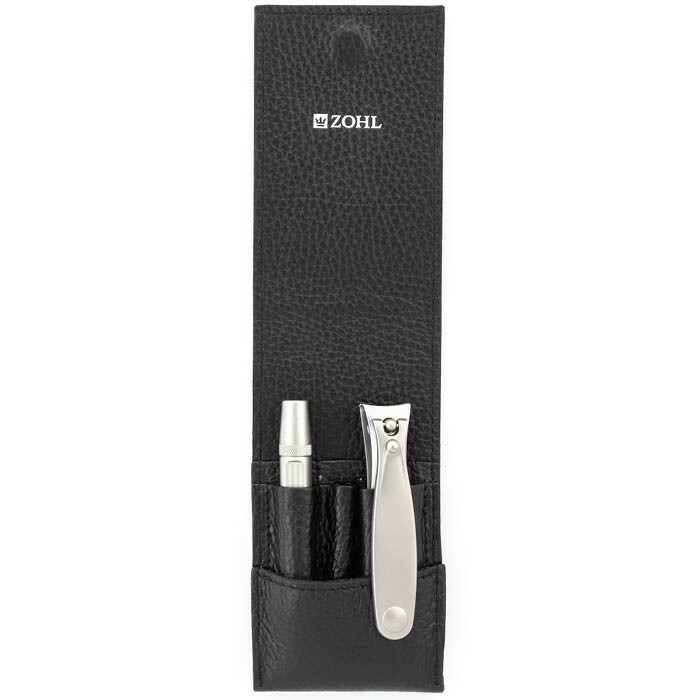 Lightweight and compact, ZOHL Magneto M23 mens grooming set is ideal for a frequent traveller or anyone who knows that the best looks are created with the best grooming tools.